SHOCKING! Mother Hid Baby In Boot Of Her Car For Two Years - kaycee Weezy! A baby girl was forced to live hidden in the boot of her mother's car for almost two years in a case that has appalled France and that investigators say "defies the imagination". 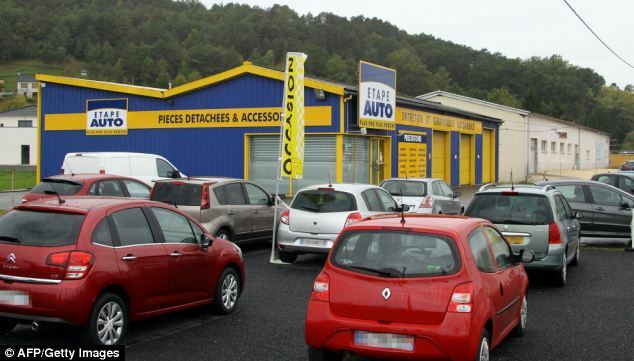 Mechanics carrying out repairs on a Peugeot 307 family estate in Terrasson-Lavilledieu in the Dordogne were alerted to the child's presence after hearing "strange noises that sounded like moans" coming from the rear of the vehicle. The 45-year-old mother, a Portuguese woman named only as Rose-Marie, claimed that the noises came from "toys". But the mechanics insisted on opening the boot and were horrified to discover a small, dehydrated and apparently feverish child lying naked in her own excrement. The mechanic who found the girl, Guillaume Iguacel, said yesterday that he was still in shock from the discovery. "I'm still having trouble sleeping, it was a horrifying sight, seeing this little girl in her own excrement, not able to hold up her head, white as a sheet," he said. Mr Iguacel said the mother appeared to have little concern for the girl. "We were deeply shocked because she didn't find this abnormal. We told her to remove the little girl (from the boot) and give her something to drink right away," he said. Paramedics were called and the girl was taken to hospital. Her parents have been charged with child abuse and neglect. Social services have taken into care their three other children – a four-year-old girl and two boys aged nine and 10. The mother told investigators that she had kept the child's existence from her husband, an unemployed builder, also Portuguese, whom police were unable to question at first because he was drunk. The mother said she gave birth alone and then hid the baby in the boot. She has no birth certificate and apparently no name. "It appears that the child had been hidden from her birth, and, even worse, is seriously retarded," said Jean-Pierre Laffite, the prosecutor in nearby Brive-La-Gaillarde. He said the girl's height, weight and mental development did not conform to her age, estimated to be between 15 and 23 months. She cannot speak a word. "It's a situation that defies the imagination," he added. Shocked neighbours in the couple's village of Brignac-la-Plaine in the department of Correze said they had no reason to suspect a hidden child.